In a previous post Essential Japanese for Visiting Japan I explained about phrases that would be essential for visiting Japan. Especially if you were staying with a Japanese family. 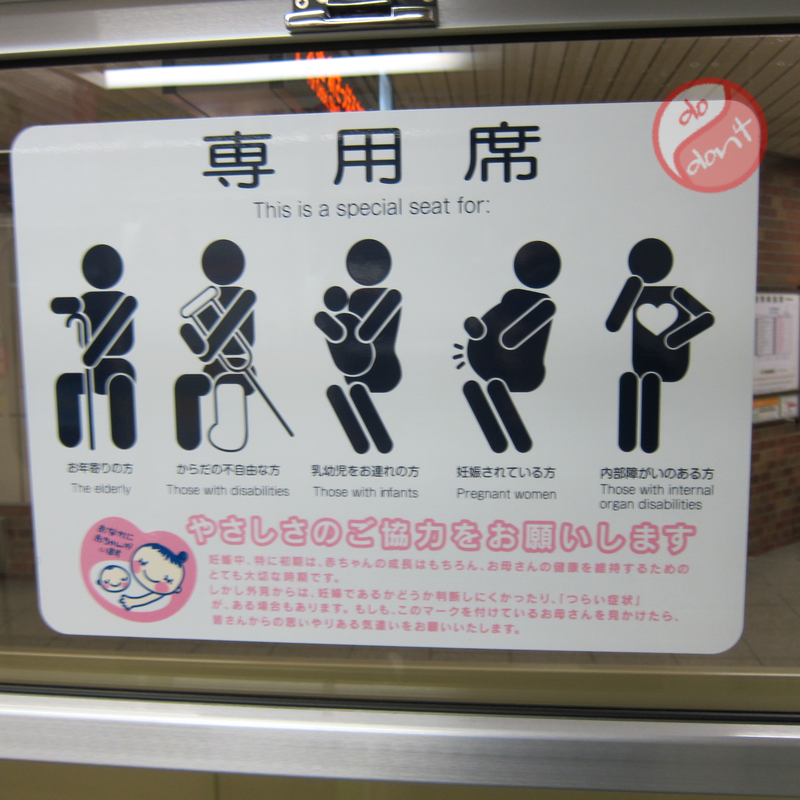 So this post is about signs you’ll see around Japan, especially the common ones that are important to know. To make it easier to learn them I have images that show examples of the signs you’ll see in Japan along with explanations for the kanji. The kanji explanations show where the words come from and how they’re read on their own in comparison to a kanji compound (when 2 or more kanji are combined into 1 word). Some of them are self explanatory and others are just…weird. I’ve also added a vocabulary list at the bottom of the post of all the words mentioned in this post. 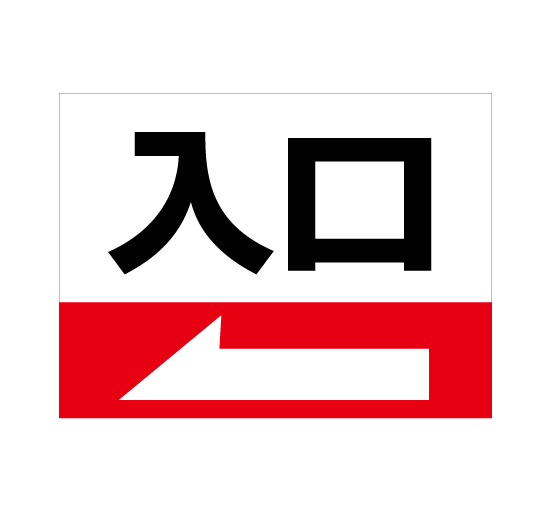 A combination of the word 入ります (いります) “to put in” and 口 (くち) “mouth”. No it doesn’t mean you should put it in your mouth. 口 can also mean “entrance” like a doorway. When combined with another kanji the くち get’s a ‘tenten’ and becomes ぐち. 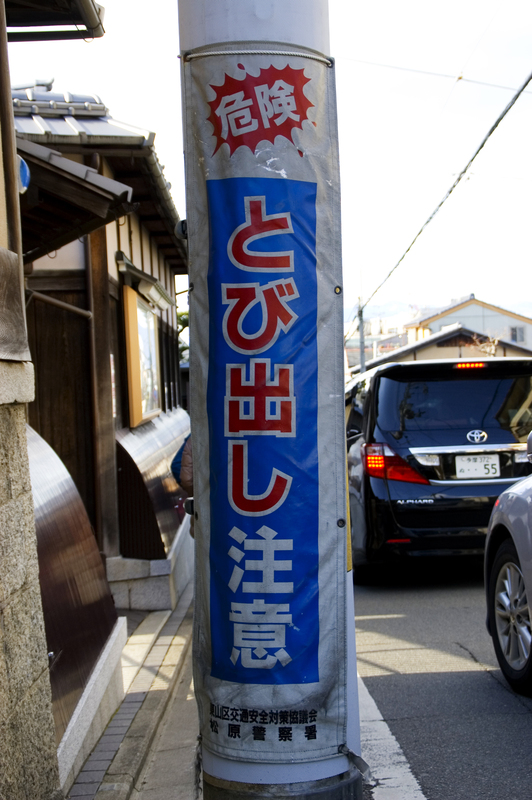 When spelled normally it would be 入り口 but on signs the り is removed to make 入口 but it’s still read as いりぐち. A combination of the word 出ます (でます) and 口 (just like 入口), but でます means “to go out” hence the combination means “exit”. This will often have the English next to it and a little man running out the door, so it’s pretty self explanatory, but when I was in Japan I wanted to be able to read what the kanji said even if I already knew what it meant. So the 非 (ひ) is actually a negative character that is put in front of words to mean something bad. On it’s own it means “fault” but I’ve never seen it on its own. 常 (じょう) is read つね when on it’s own and means “usual state of things” or “ordinary” like 日常 (にちじょう) which means “everyday/a regular day”. 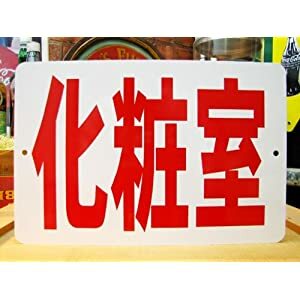 BUT when put together 非常 (ひじょう) means “emergency” (I don’t know why a “regular fault” means “emergency” the language is just weird like that sometimes). The best translation for this would be “the powder room” because it literally means “make-up room”. 化粧 (けしょう) being the word for “make-up” and 室 (しつ) meaning “room”. Make-up uses fun kanji though because the first one comes from the word 化かす (ばかす) which means “to bewitch” and is also used in 化け物 (ばけもの) which means “monster”. And the second kanji comes from 粧す (めかす) which means “to dress oneself up”. Resulting in the word for making up meaning “to dress yourself up and bewitch”. The second word used for toilet just means “the wash room”. 手 (て) just means “hand” and 洗い (あらい) is the noun of 洗う (あらう) which means “to wash”. The お at the beginning of the room makes the word sound a lot more formal (posh) because it is a place used by guests and not some bucket out a back room. (Although you could be fooled by some Japanese toilets that are “Japanese style” which means hole in the ground. Directions on how to use are below). Be careful of swirly kanji like the one above which may be tricky to read. Lots of places will have the obvious signs like the one on the left. When you go to most trainlines the stop signs will have the kanji, kana reading and then English (romaji) reading below. 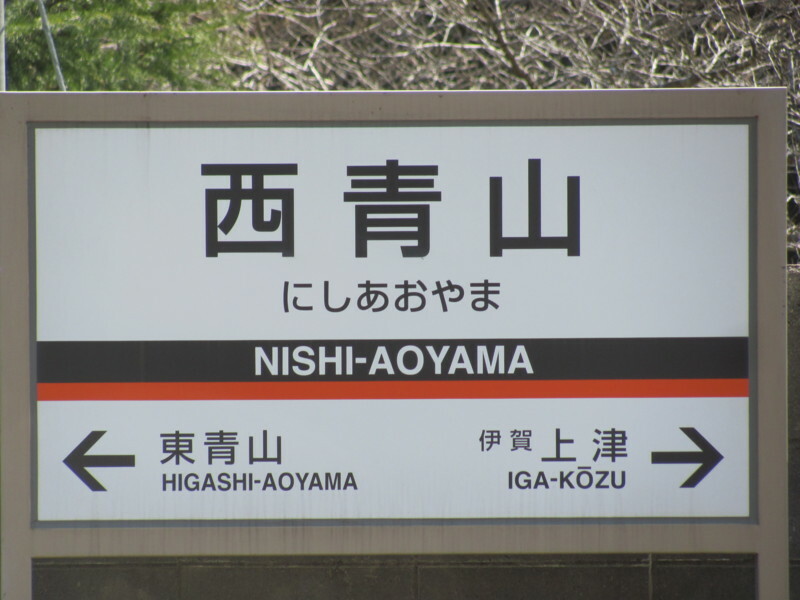 This makes travelling by train very easy unless you’re travelling by JR where the stop names will be in English on screens on the train and sometimes in announcements but often not on the platforms. These ones are a bit self explanatory because of the helpful images and English with them, but I still found it useful to be able to read the kanji. It’s easier if you split this one into two words, 優先 (ゆうせん) and 座席 (ざせき). 優先 means “priority” with 優 from the word 優しい (やさしい) for someone being”kind” and 先 (さき) which means “before”. So “priority” means “be kind before yourself”. And 座席 just means “seat”. 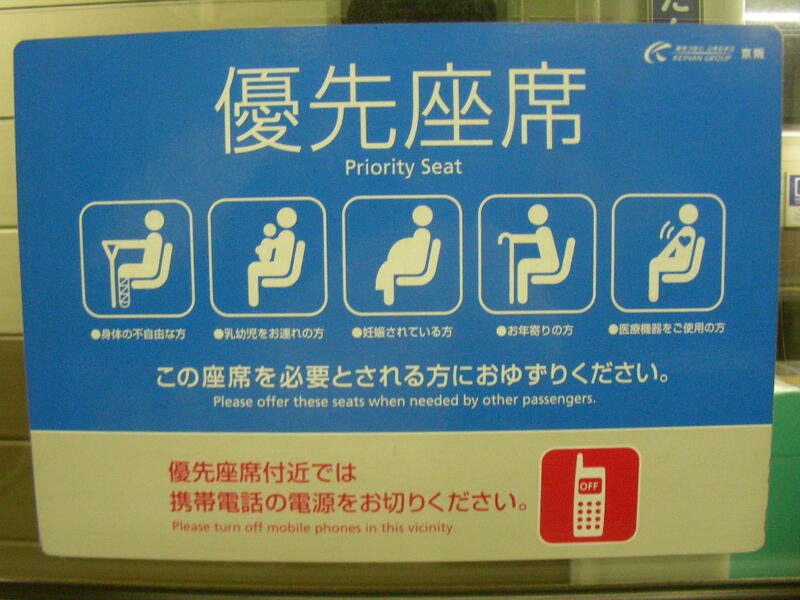 But doubly so because 座す (ざす) means “to squat” (or just ざ meaning “seat”) and 席 (せき) means “seat”. The reason it’s 座席 and not just 席 is because in Japanese the longer a word is the more formal it is. So a “seat seat” is a very official seat. 専用席 (せんようせき) uses the 席 kanji from before (just on it’s own) and 専用 means “exclusive use”. The 専 comes from 専ら (もっぱら) which means “exclusively” and 用 (よう) means “use”. 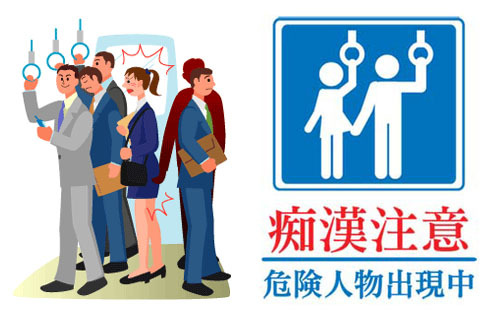 Hopefully on your visit to Japan you won’t come across perverts, but you will probably see a lot of signs around train stations warning people of them. I am going to start with 注意 (ちゅうい like in Star Wars) because this is a word you will see and hear a lot. It means “be careful” or “watch out” and uses the kanji from 注ぐ (そそぐ) meaning “to pour” and 意 (い) which means “feelings”. So “to be careful” 注意する is when you “pour your feelings” into being careful. “Pervert” is an interesting one because you might see it as 痴漢 or チカン or ちかん (like in the images below). As far as the kanji goes the first one means “fool” and can be read on it’s own as 痴 (ち) or the term that people would be refereed to which is 痴れ者 (しれもの). This does mean the same as ばか but I think you will more likely find it in high fantasy books rather than spoken in anime because it carries a more formal and written tone. (Which might be strange for the word “idiot” but it’s Japanese and there are lots of words that are used used in writing which are strange if you said them out loud). 漢 can be read as かん which when used in kanji compounds (2 or more kanji together) means “Chinese”, like in 漢字 (かんじ) which means “Chinese characters”. But in this context it is not using that meaning and instead 漢 is read as おとこ, this is the same as 男 (おとこ) and means “man”, the difference is the 漢 use of おとこ has a strong negative connotation whereas 男 is just a neutral word meaning “man”. So a 痴漢 (ちかん) is a “foolish man”. This sign is more like the first one where is says “Watch out for perverts! !” But the second part (if you’re curious) says 不審者 (ふしんしゃ) which means “suspicious person”. So “if you see a suspicious person call 110”. FYI if you are ever groped on the train grab their hand and shout CHIKAN in a loud voice. Or as the image above shows call 110 which is the police hotline. I haven’t had this happen to me but I hear people will help call the station master who will take the pervert away at the next station and call the police so you can give an account of what happened. Most Japanese women will avoid doing this because they’re don’t want to cause a scene. It’s very sad and stupid and you shouldn’t be afraid of calling people out. As I mentioned before there are lots of 注意 signs across Japan. This one is for people jumping out between cars onto the street. What it actually says is “jumping out” 飛び出し (とびだし) which comes from 飛びます　(とびます) “to fly” and 出します (だします) “to take out” but means “jumping out” not “flying out”. The sign doesn’t say people, or animals or children, because it’s implied in the context of the situation. You often see these more around schools and playgrounds. Pretty self-explanatory with the large no-smoking image but it’s good to be able to read them too. 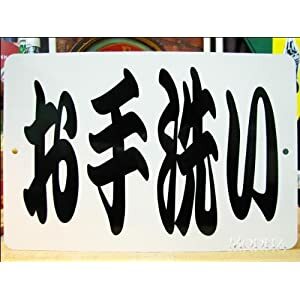 禁 (きん) can be read on its own as “prohibition” or in verb form as 禁じる (きんじる) which means “to prohibit” (at least the reading is the same in compound and verb form). 煙 (えん) on its own is actually read けむり which means “smoke”. If you wanted to say “to smoke cigerettes” you say たばこを吸います (すういます). 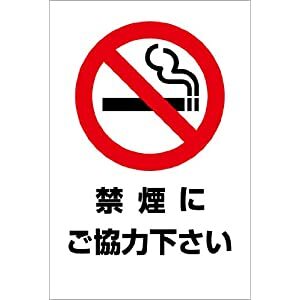 The other kanji along with the “no smoking” in the image above says “please co-operate”. 下さい (ください) means “please” and 協力 (きょうりょく) means “co-operate”. 協 (きょう) just mean cooperation on it’s own and 力 (りょく) on it’s own is read as ちから which means “power”. Just like with the word “seat” 協力 (cooperation power) is used more for the word “cooperation”. The ご is the same as previously mentioned お, when it’s put in front of certain nouns it makes the word more polite. Finally for those who do smoke and need a place to smoke in Japan there are 喫煙所 (きつえんしょ) “smoking areas”. 喫 (きつ) can actually be read 喫う (すう) and is an older kanji for the word 吸う (すう) which means “to breath in” or “to smoke”. 吸う is used more in daily life than 喫う though. 所 (しょ) means place and on it’s own is read as ところ. Before you look through this vocabulary I recommend trying to read them without looking at the readings or English meaning to work out what they say. Don’t forget to put them into your flash card program and practice them too. Tagged Japanese signs, Kanji, Visiting Japan.